When it comes to transporting exotic, classic, collector and high value vehicles, Extreme Towing is the leader in providing safe, secure and protected towing and hauling of your car. We offer towing and transport for all types of antique, collector and luxury cars. We can transport vehicles within our immediate service area or throughout Central California. 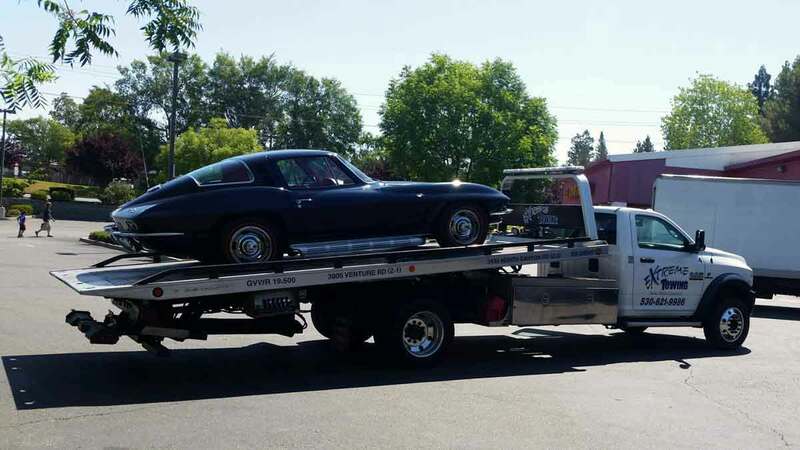 Trust your car to the trusted professionals at Extreme Towing and arrange for your car transport services now by calling 530-621-9986. Extreme Towing provides expert vehicle loading and transport for low-clearance vehicles and hotrods. If you have a vehicle with skirts or ground-effects, we will use their loading ramps and other materials to ensure your vehicle is moved safely. Our team is experienced in securing and transporting all high-value vehicles with their no metal-on-metal tie-down procedure. Extreme Towing offers fast and affordable luxury car towing throughout Folsom, El Dorado Hills, Placerville & Pollock Pines , CA. 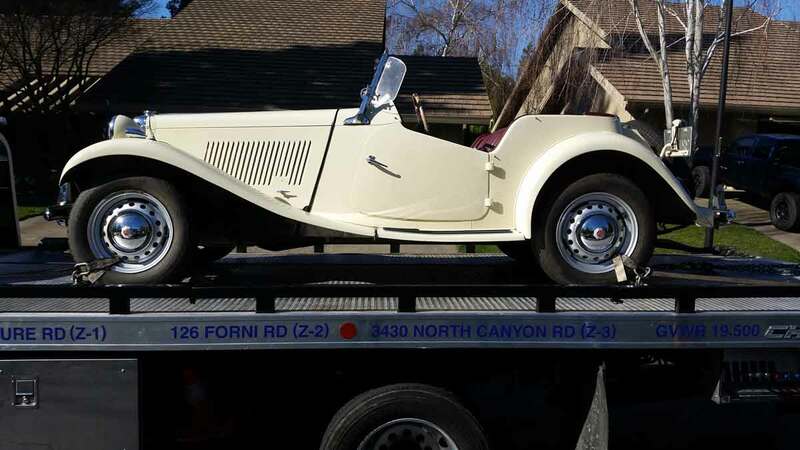 We understand just how important your classic car is to you and are committed to quality, safe and reliable towing in Folsom, El Dorado Hills, Placerville & Pollock Pines . 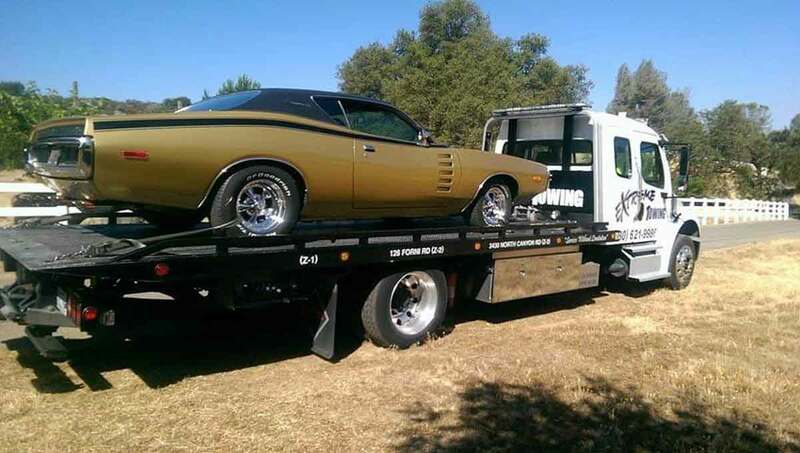 With well-equipped tow trucks, your classic car will be secure throughout its journey. Call our dispatch line now at 530-621-9986. Extreme Towing specializes in safely accessing and towing vehicles that do not run and have not moved in a while. We can safely access and haul vehicles from underground parking areas, garages, barns and other vehicle storage areas. Vehicle towing damage doesn't have to happen. It is a result of poor operator training and a lack of experience. That is why Extreme Towing is so committed to continuous training and certifications. We are certified by Wreckmaster and the California Tow Truck Association. And with years of towing experience on staff Extreme Towing is the Premier Damage-Free-Towing Provider in El Dorado County, California. Extreme Towing delivers damage-free limousine towing and transport. Stretched vehicles can be challenging to tow and as always, the right equipment is critical to success. 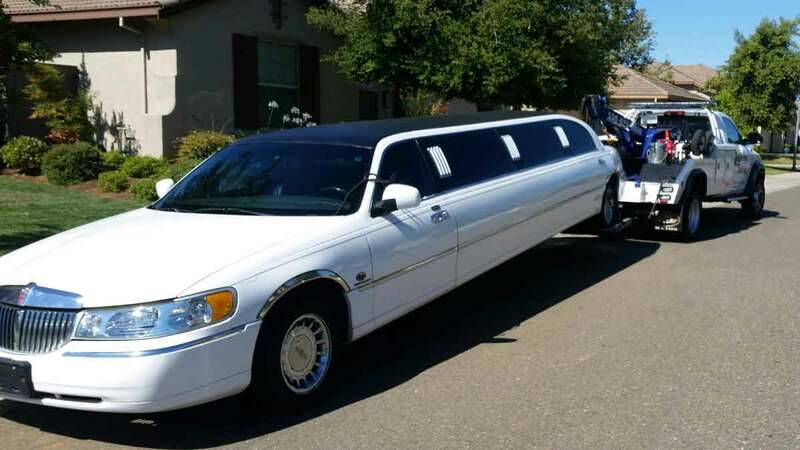 Count on the Extreme Towing team to provide safe towing of your limousine today.